Sorry about that Chas, have disabled the whole censoring thing on this forum now. 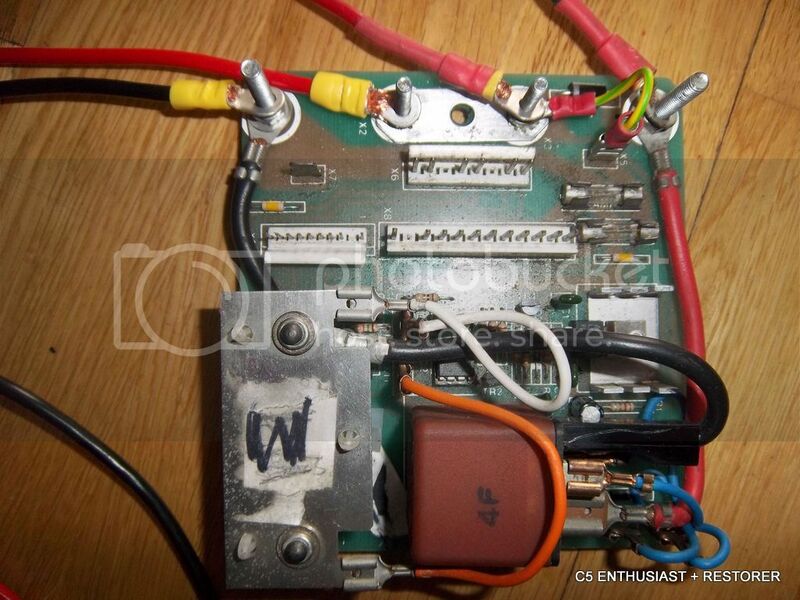 I've used one of these wiring kits by Chas before and the extra wire should be included. Can I just use the existing thin brown wire from x5 to x3.? 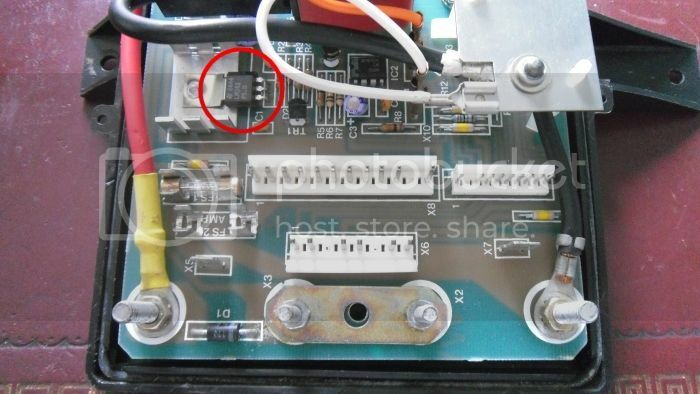 This wire (which should be connected to the keyswitch unit) is not needed with the wiring kit, you could cut it and make a connection between X3 and X5. thanks, mystery solved, used the existing brown wire and diverted it....next ...the internal bits. thanks for your collective help and encouragement.hope to be on the "road" for The Vintage Nostalgia Show , Stockton for the Bank Holiday. this is going to seem really stupid...how should I start....do I just switch on and pedal or am i missing something? on either side of handlebars there is a small red thumbswitch under the hand grips. the r/h "peeps" when pressed and the left is silent.....whats that all about? this is going to seem really stupid...how should I start....do I just switch on and pedal or am i missing something? It should be just a case of switching on and the POD will light up. Then pressing the switch on the left side of the handlebar and the motor will fire up. on either side of handlebars there is a small red thumbswitch under the hand grips. the r/h "peeps" when pressed and the left is silent.....whats that all about? 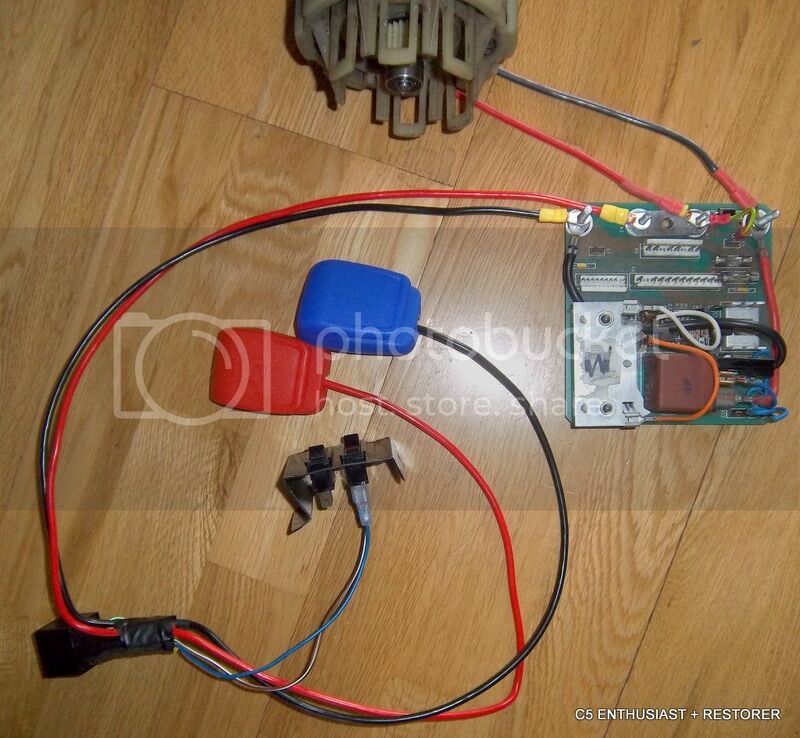 I`ve checked the two fuses in the control box. Next spare day I get I`ll have a look at the pod removal. My multimeter skills are not great beyond testing for life in a battery but I`ll give it a go....I may then take you up on your kind offer. If you could test the POD pins to ensure they're receiving +12V & +5V from the control box, that would be the best start. I may then take you up on your kind offer. No worries, if you're not sure whether its the POD or control box feel free to send them both, I'll be able to test both. 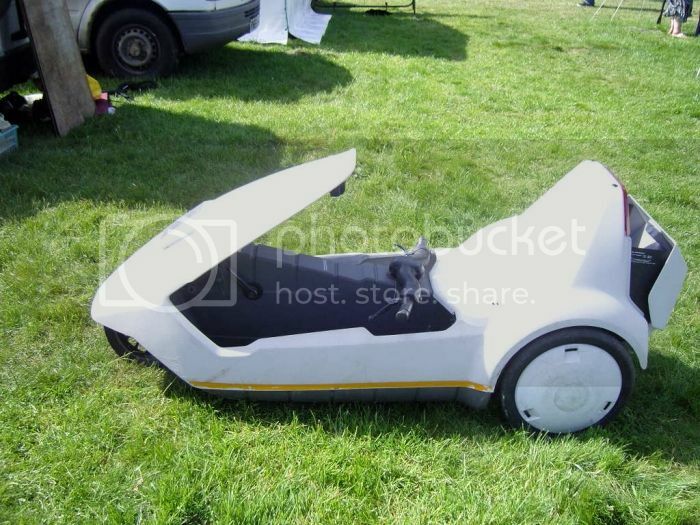 Hi, still no further forward really on the electrics but we have taken the c5 to some shows , Stockton Extravaganza, Rainscombe House Festival of Transport where it has been both the subject of serious motoring history and incredulous amusement. . I still havn`t seen another c5 on a field so that pleasure is yet to come. This Sunday (7th)we are taking it to ........ Castle Cary Cavalcade of Transport in Somerset. I`ve Put a couple of pics in the albums section. Nice! You're C5 is getting about Keep at it with trying to fix the electrics... 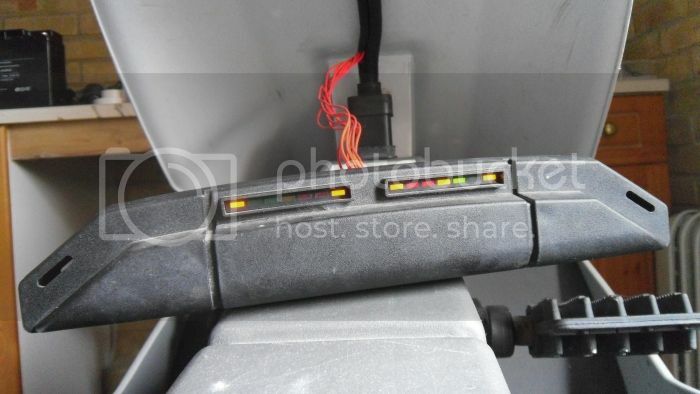 Most C5's can are fixable Would you mind one of your pictures being used on the main gallery page? Please use any pictures you wish. I`ll keep sending to my album anyway just for the record Ours is in transport mode ready for Castle Cary tomorrow.I love seeing the pics and vids on the web of Sinclairs zooming about. Cool, thanks will get one added! I'll add the event at Haynes Motor Museum to the events page for you I don't think there is a wiring diagram for the POD or control box, there is some detailed technical information about the POD here but apart from that From what I've found out, the POD connector pins are wired as follows: 1	+5V - 2	+12V 3	Switch (+12V) 4	GND 5	Base 6	Relay 7	Emitter 8	Temp 9	+5V You could test (with the multimeter) to ensure the +5V pins are getting the correct voltage. 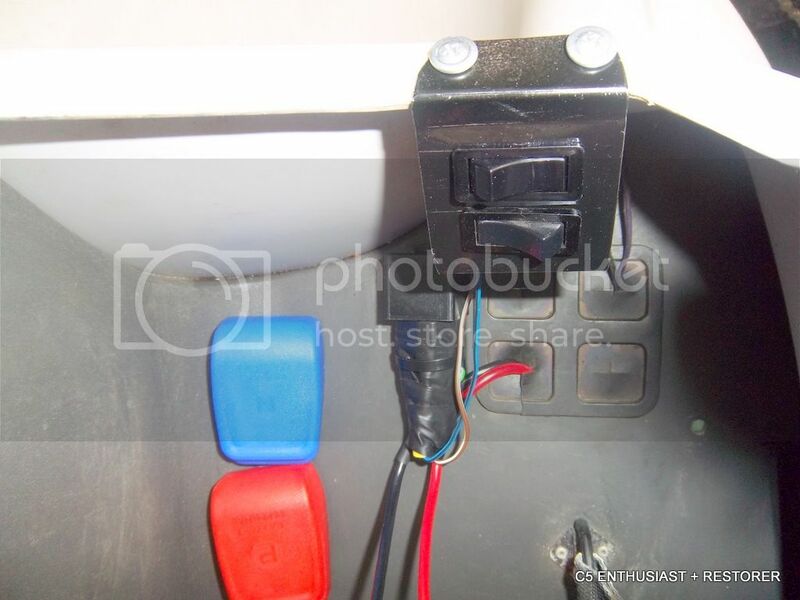 If not then the fault will likely be in the control box, or it could be loose/dirty connector pins either in the POD or control box. Thanks wrapped and ready, Took it for a pedal around Devizes marketplace today , was spotted and got a mention on local radio. If you have difficulty repairing the control box you can send it to me for repairs or I can do a part ex for a working CB. at last....withe the fantastic help from Dan and other members,Our C5 is back together again. Control box replaced, all nice and shiny, ready for testing,just charge the battery and wait for a dry afternoon !!!! Awesome, you're welcome. Have you managed to power it on for a quick test? Hi there I think the chain slip is due to the chain be to long .The reason could be that it is old and streched or the chain is to long .Do you have a chain tensioner fitted .. It has a chain tensioner . I`ll check its efficiency and go from there. At least it all basically works now. [quote=derek.maguire.100;954]It has a chain tensioner . I`ll check its efficiency and go from there. At least it all basically works now. Hi, chain is only slipping on hills.......chain tensioner looks adequete and has tension The chain already has a split link so removing a link shouldn`t be a problem. Recommendations for the best course of action please?